Welcome to this luxurious four bedroom vacation home located within the prestigious gated resort of Windsor Palms. Windsor Palms is one of the most sought after communities in Central Florida and offers an array of community facilities which are the envy of many other resorts. This property offers a wealth of features to ensure that your next Florida vacation is a memorable one. Enjoy the four elegantly furnished bedrooms, a private heated swimming pool, elegant family room and a games room for those of a competitive nature. This spcious and beautifully furnished home offers every luxury and convenience for your Florida vacation. 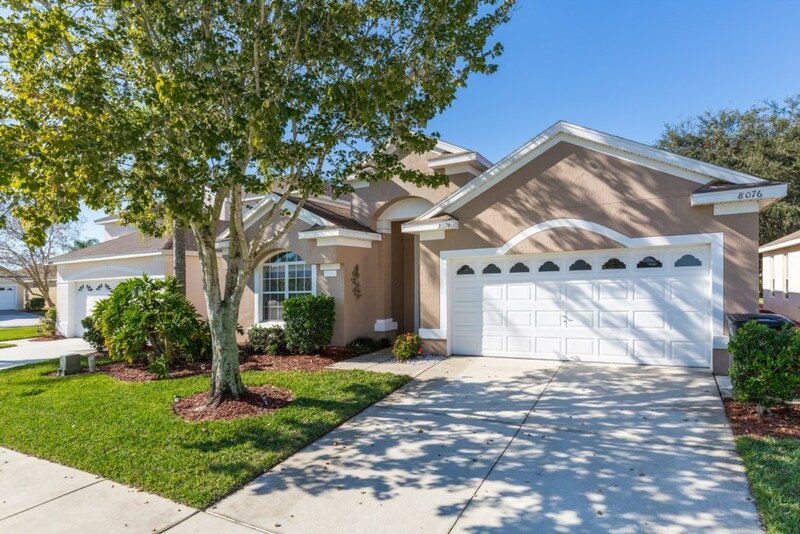 Only 3 miles from Disney Maingate this home enjoys a sunny West facing pool to enjoy the Florida sunsets. Our private pool & deck is not overlooked, so you will enjoy total privacy. The spacious layout of the home provides 4 bedrooms and 3 full bathrooms, two of which are en-suite. A central great room enjoys views of the pool and catering for your party will be a breeze thanks to the full size fully yequipped kitchen. Upstairs you'll find a washer & dryer plus an ample supply of bed linens and towels.